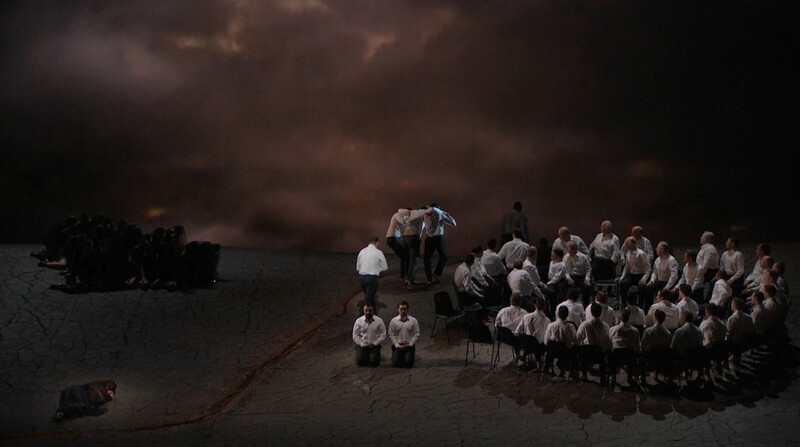 François Girard’s production of Parsifal at the Metropolitan Opera was much written about at the time of the HD broadcast in March 2013. My review of that broadcast is here.I don’t think my opinion has changed very much. It’s a powerful and intensely beautiful production and there are some wonderful performances, especially that of René Pape. I’m not going to rehash the previous review but there were a few things I noticed second time around. 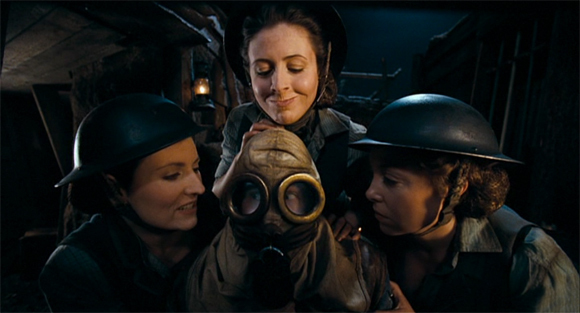 In Act 1, for instance, the gendering of the scene is mirrored in other ways to emphasize the polarity. The knights are in white, the women in black. The men are in orderly circles, the women are just a crowd. Also the final scene is almost overwhelmingly intense. Kaufmann sings quite beautifully with fine diction, gravitas and simply gorgeous high notes. 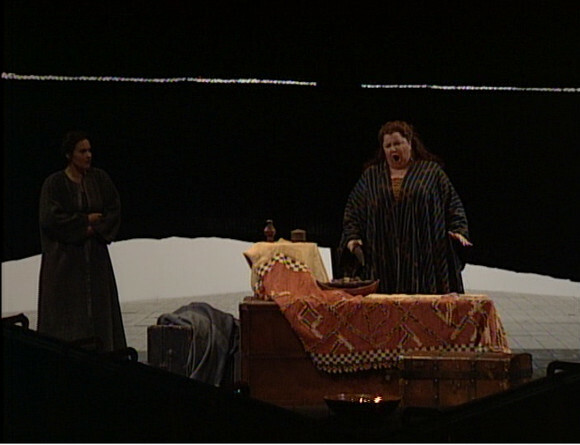 Pape caps off a performance of great pathpos and humanity with the gentle gesture with which he closes Kundry’s eyes in death. It’s compelling stuff. 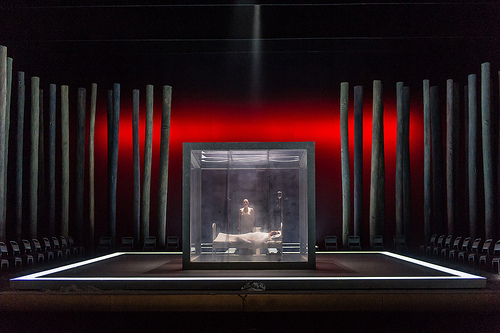 Dieter Dorn’s production of Tristan und Isolde for the Metropolitan Opera is one of the most interesting from a design point of view that I have seen from the Met. If only the direction of and acting of the principals in this recording (made in either 1999 or 2001; sources differ) was up to the same standard! It’s beginning to look like Keneth Branagh’s 2006 film of The Magic Flute will never be shown in Canadian cinemas and so, when I saw it on amazon.ca for $7.24 I couldn’t resist. Perhaps I should have.